Last Game: Last night in Wilkes-Barre against the Binghamton Senators, the Pens won 4-1. Tom Kostopoulos notched his 399th and 400th points in a Penguins sweater and was named first star of the game. 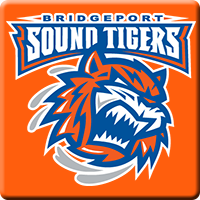 For Bridgeport, the Sound Tigers were in Hartford last night and won 5-4 in overtime. Adam Pelech scored the overtime game winner 50 seconds into overtime and was named first star of the game. Why you should care: Don’t underestimate this Bridgeport team who own victories over Springfield, Lehigh Valley and Albany, all teams who are expected to contend. Pens will need a full 60 minute effort if they want to get out of Southern Connecticut with the win tonight. Other Game to Watch: Albany visits Hershey. Could be a sneaky good game.